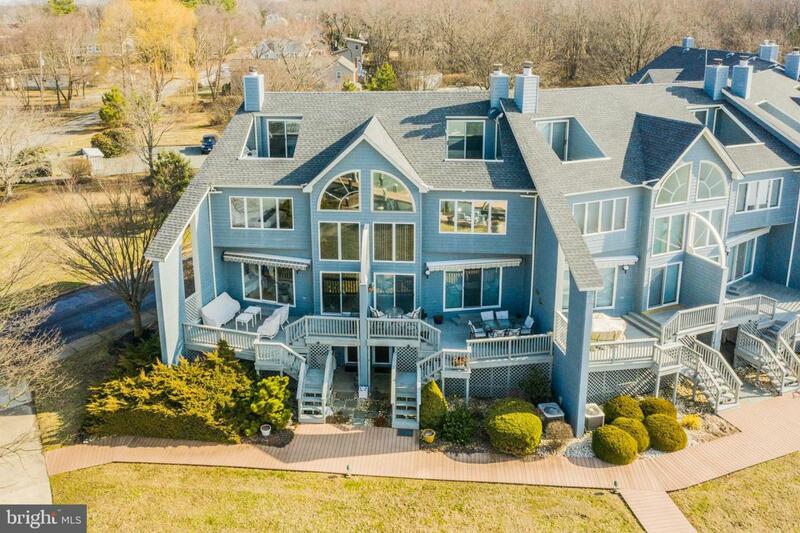 Rarely available four story waterfront townhome with breathtaking views of the harbor! Home comes with a private, deeded, 28' boat slip right in your backyard! This property is a boat lovers dream come true. Entertain on your patio with panoramic water views or take the family for a swim in Rock Harbor's private in-ground pool! All windows have UV coating for protection from the sun and vertical blinds for privacy if desired. Rear deck off main level has space underneath for storing your kayak or boating gear. Ground level has an attached one car garage with extra storage space and laundry room with full sized washer / dryer. Main level has vaulted ceilings, wood burning fireplace, gourmet kitchen with custom cabinetry, granite counters, and stainless steel appliances. Elegant spiral staircase leads you to the upper level bedrooms where you'll find a master suite with endless views of the harbor and marina. Full sized master bathroom with his and hers closets. Continue up to the fourth floor where you'll find a large recreational room for entertaining or a possible third bedroom. Sliding glass doors lead you out to an additional private patio with an exquisite view of the water that seems to be never-ending. This home truly offers year round relaxation and enjoyment. Make an appointment to come experience this unique paradise for yourself! Inclusions All Appliances And Outdoor Furniture Convey. Indoor Furniture Negotiable.